Hello beautiful Friends!! 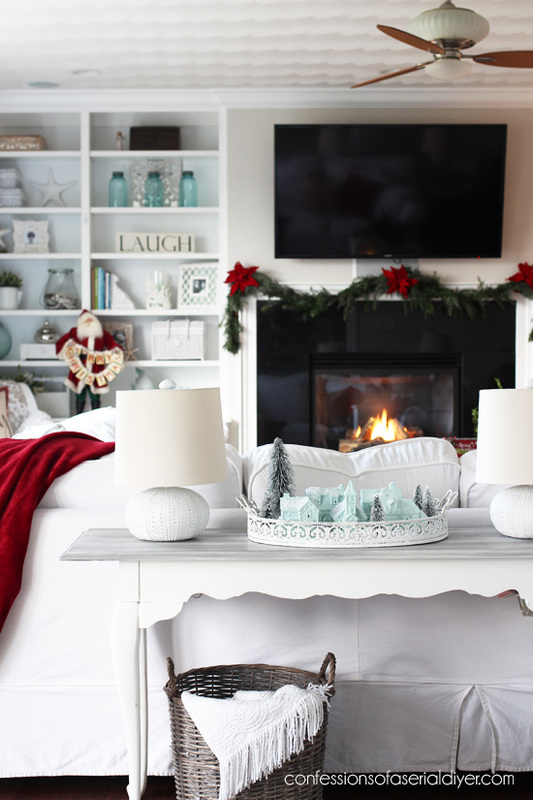 Today I am excited to be taking part in the Seasonal Simplicity Series Christmas Tours hosted by my sweet friend, Krista from the The Happy Housie. 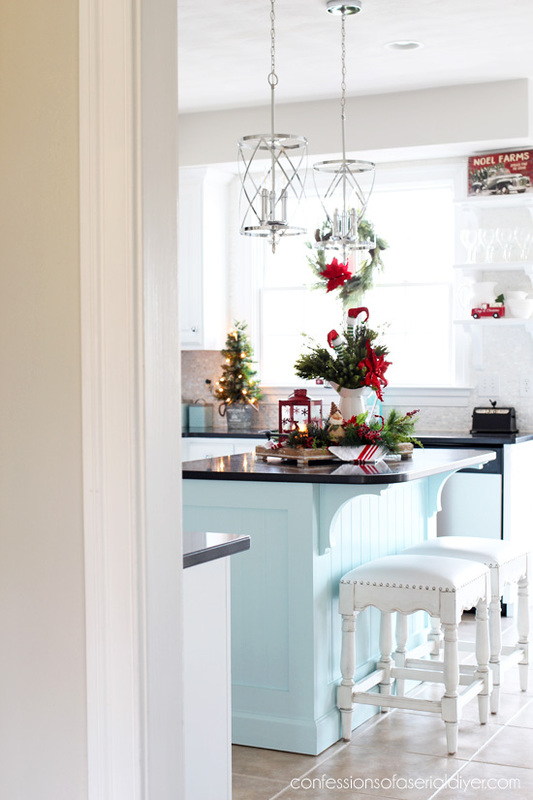 If you are coming over from Willow Street Interiors, wasn’t her kitchen gorgeous?? And welcome! And so of course, I didn’t do much to decorate it. We had just moved in at the end of the Summer and although the bones of this kitchen were amazing, it wasn’t my style at all. 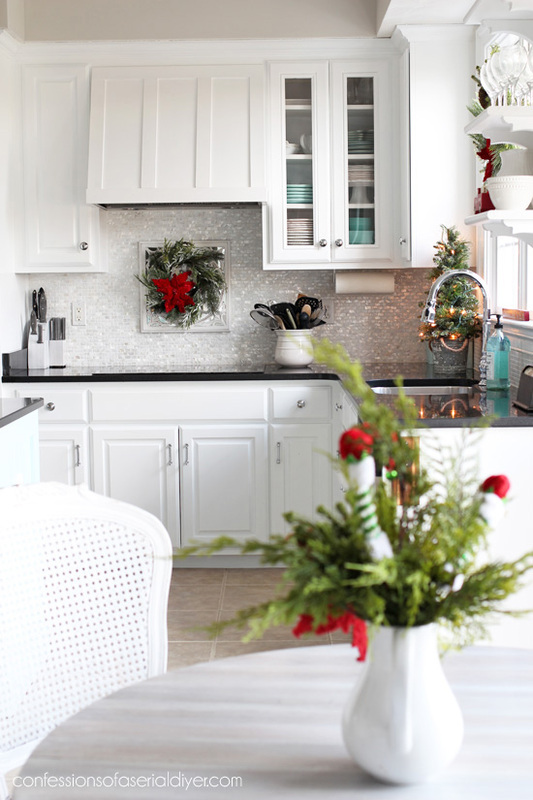 But this Summer we gave this kitchen the light and bright new look it was crying out for! 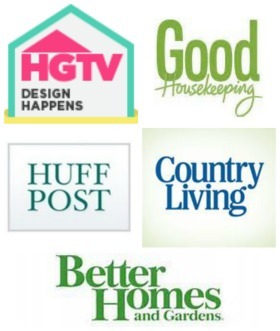 You can visit our kitchen makeover post HERE. 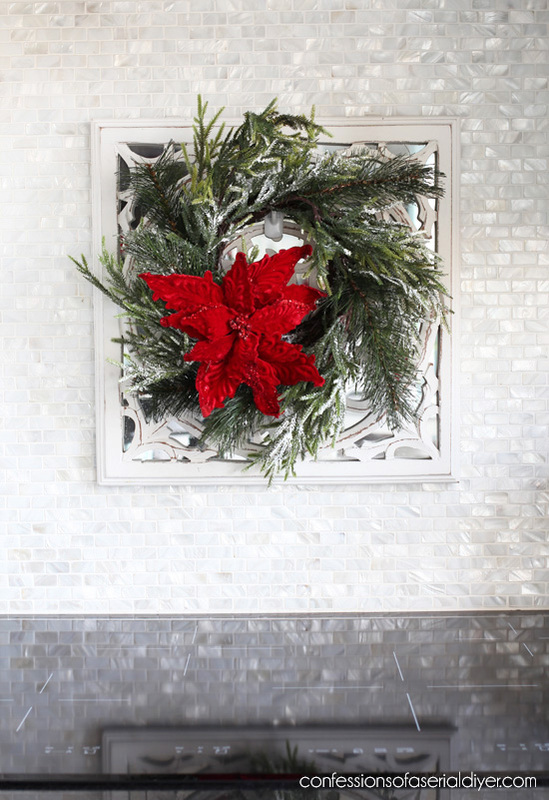 We have a lot of white with pops of blue in our home, so I always welcome the bright red at the Holidays. I’ve tried a more neutral look for Christmas and I always come back to the red. Except now there are only 21 days until Christmas! Yikes! Can you believe that? See, I didn’t go too crazy at all. And our kitchen is still totally functional. 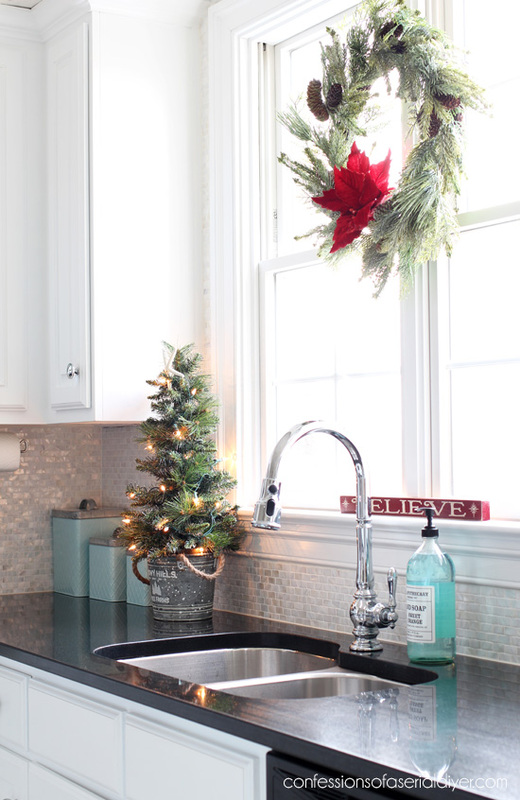 I searched hard for a festive rug I liked to go in front of the sink…still on the hunt! 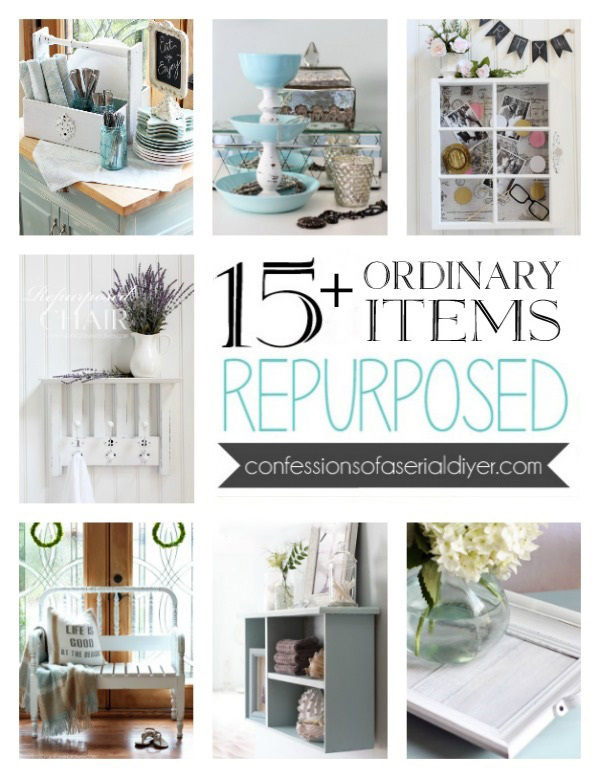 See how I added glass panels to one of our cabinets HERE. 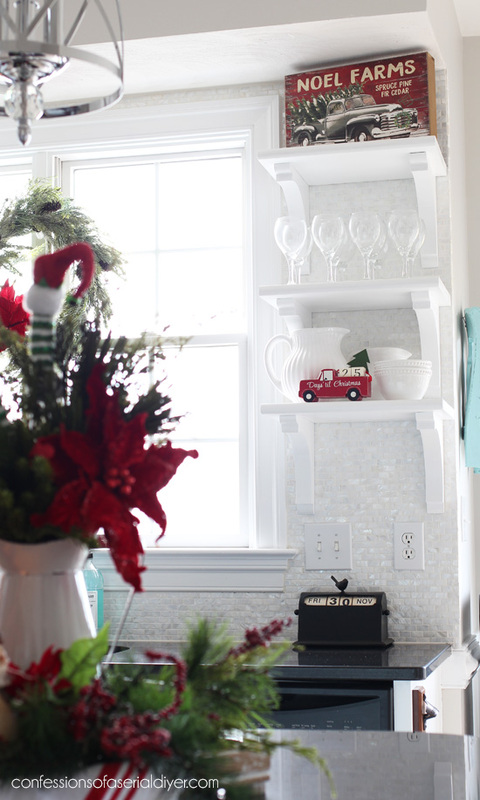 See how I built our custom range hood cover HERE. My mother-of-pearl backsplash still makes me smile every time I come in here! See how I installed it HERE. 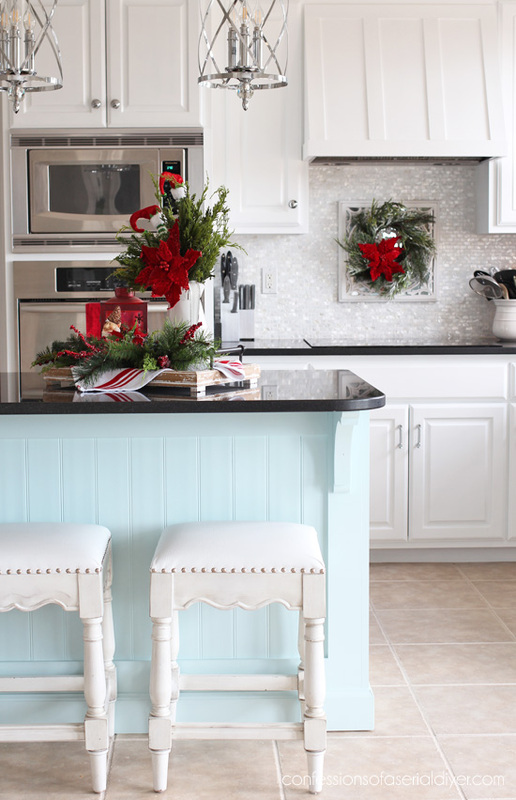 See how I beefed up our old island and added beadboard HERE. Those red poinsettias came from Walmart a few years ago, but they have them every year. They are velvet and really beautiful in person, with a little clip on the back. 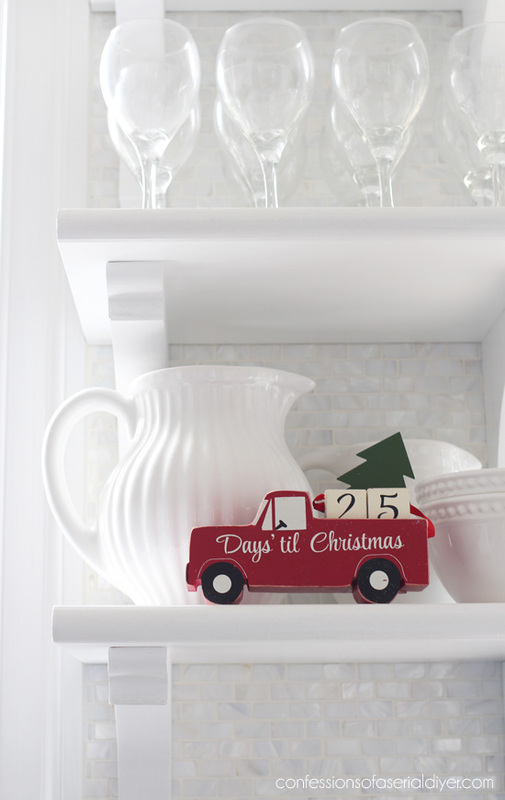 The elf feet came from Michaels a couple of years ago, and I just love the touch of whimsy they add. 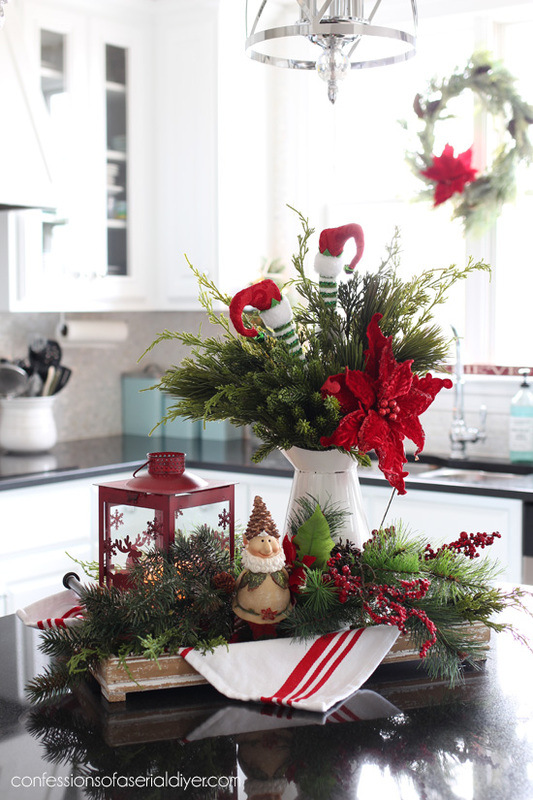 The greenery I used in the pitchers was an after-Christmas clearance find from Pier One. They have the most realistic greenery. I didn’t add much to the built-ins this year. You can see our Christmas living room from last year HERE. Remember my mini Christmas village I painted and shared the other day? Revisit that post and see how these houses started HERE. And that concludes my Christmas in the kitchen tour! It was fun to decorate it this year! The next stop on the tour is Happy Happy Nester. 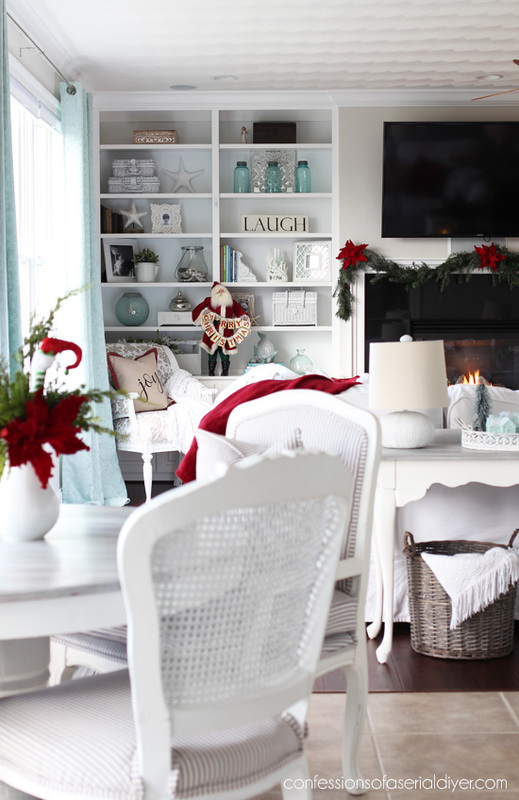 Visit her beautiful Cottage Christmas Home Tour HERE! 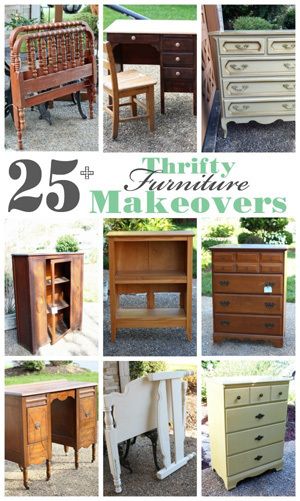 UPDATE: See how easily our Island centerpiece came together HERE! Christy, you are so ambitious and talented. 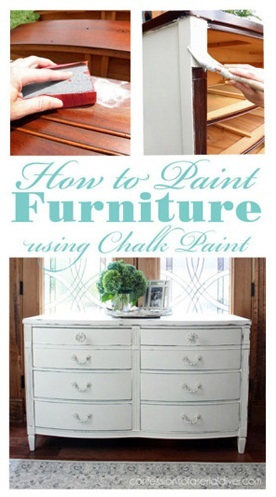 I cannot get over what you can do with some basic power tools and some paint brushed/sprayers. Girl, you have serious skills! 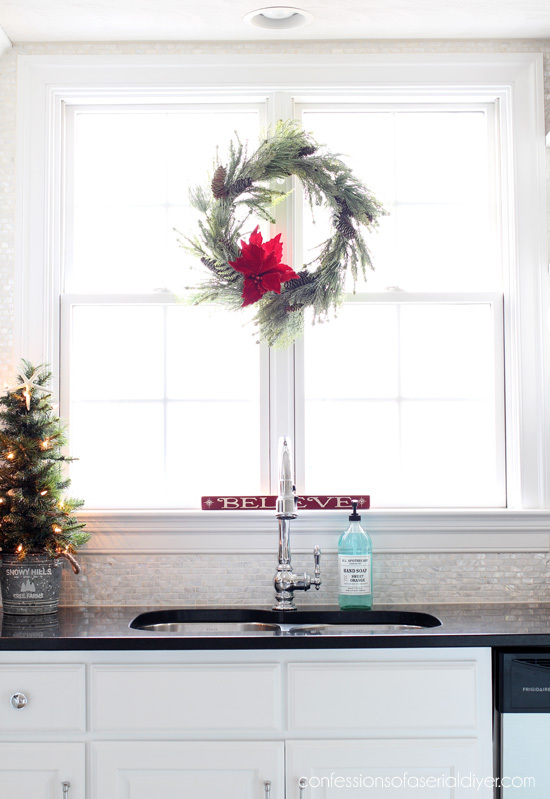 Love your kitchen this year. How bright!! 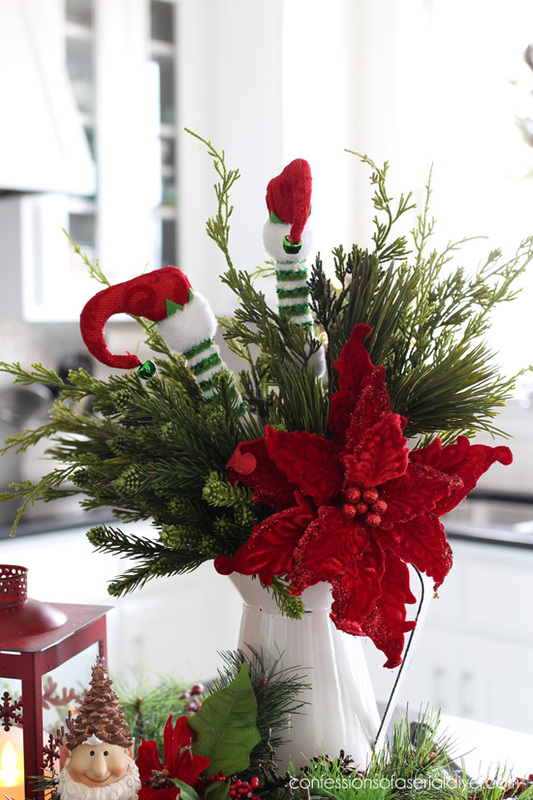 The textured fabric poinsettia bloom is stunning. Every touch makes me want to come over this morning for a cup of coffee in your lovely kitchen. This former English teacher cannot leave the error uncorrected. lol! What a difference a year makes! 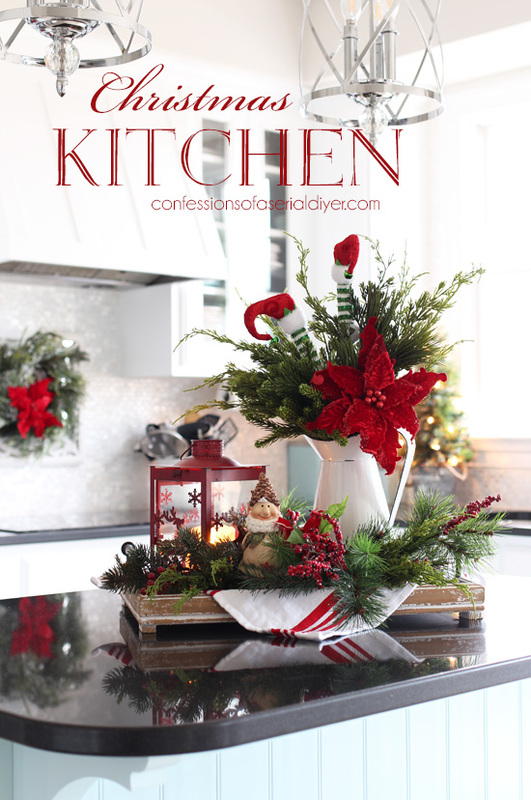 Your kitchen makeover is fantastic, and I love how you’ve styled it for Christmas. Beautiful! Very cute and festive. Just right. Your kitchen looks fantastic, Christy! It’s so light and fresh. 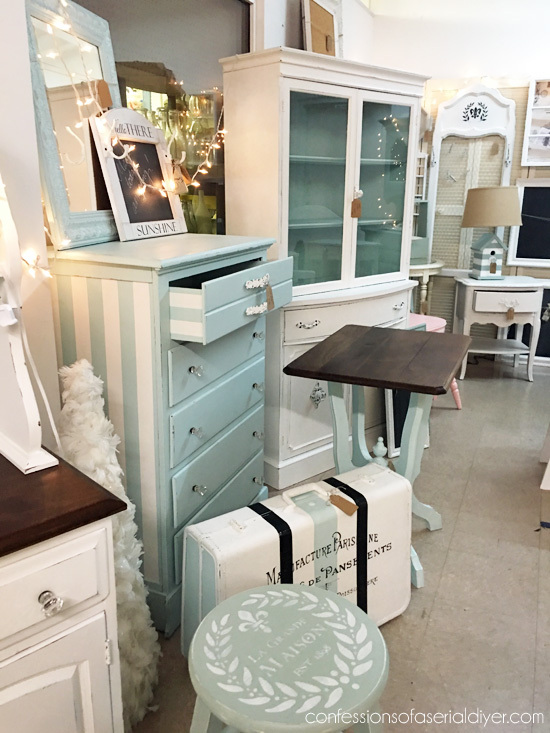 I love all the pops of red and I’m crushing hard on that pale blue island. Lovely tour, friend! I love that you wrote ‘Can you believe that?’ then the next photo has a “Believe” sign in it. LOL! 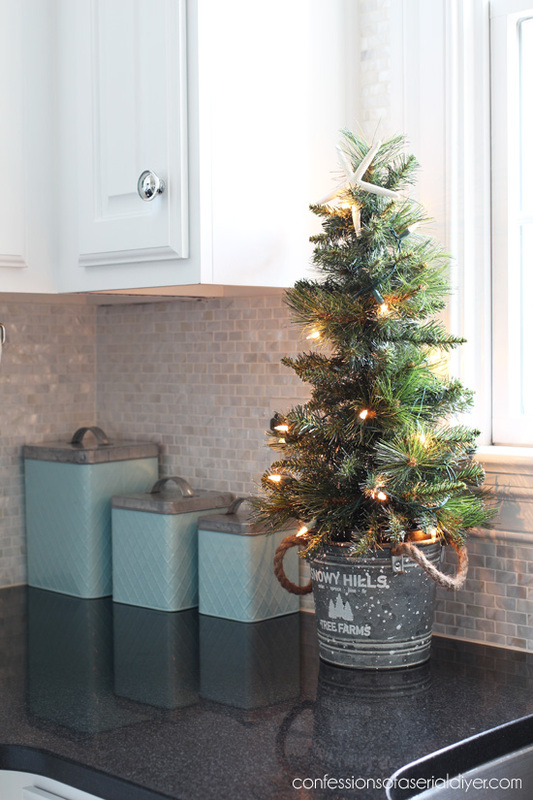 Also, where do you find that awesome counter top tree in the bucket? I love all your decorations, well basically all of it. 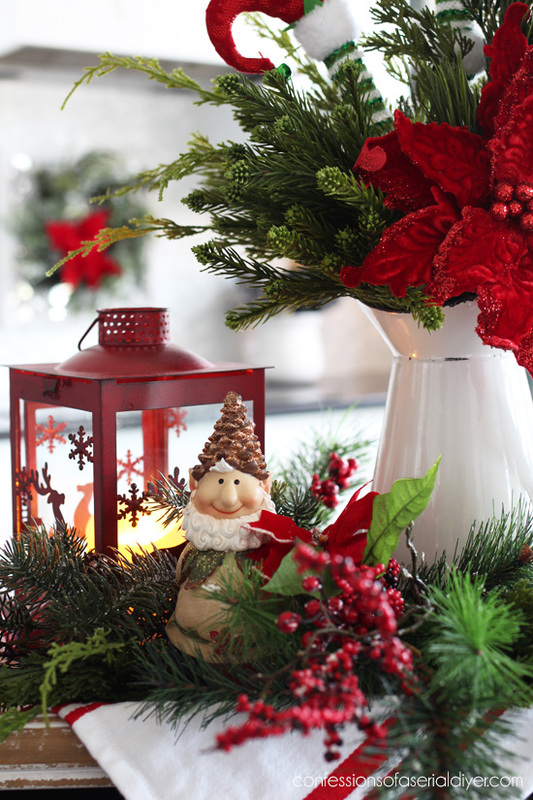 Your home looks so festive and cozy ! Beautiful! It’s just right, not too much, not too little. And I still really like that you use RED! 😊 Me too! I LOVE the RED!!!!! And very happy to see it!!!!! Why be like everyone else…that thinks they are being different with blue and beige!!!!??? 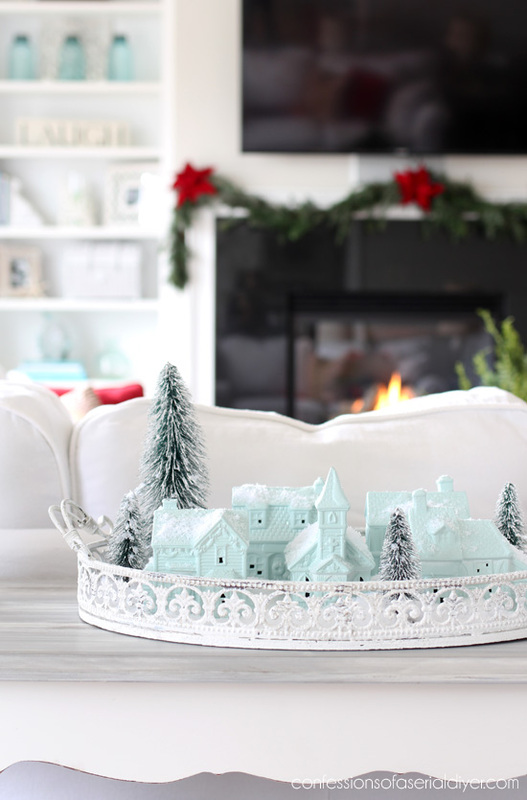 I am going to have to steal that Christmas Village tray….soooo cute!!!! I am on the hunt for pieces. Everyone must be reading your blog cuz I can’t find any!!!! Your kitchen is looking great. I love your little painted village, so sweet. 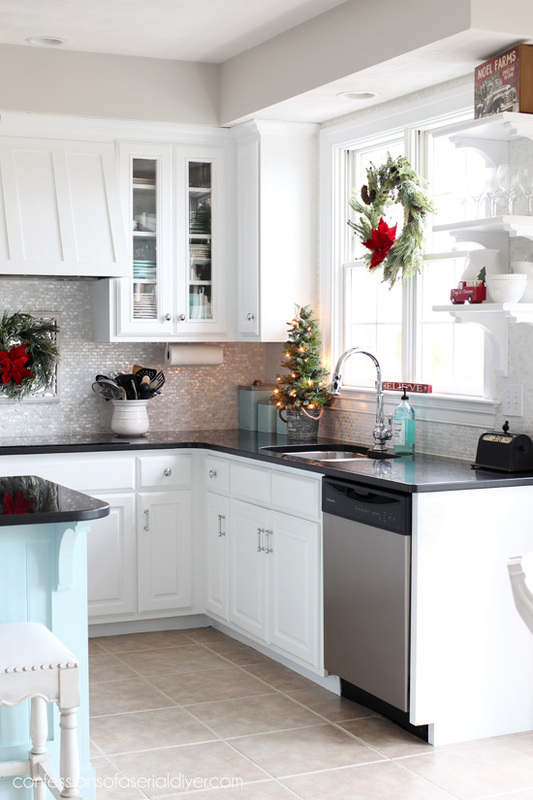 I remember the reveal on the kitchen and I just loved the backsplash and I think I love it even more now, it is so pretty. Really like the Christmas red too. Call it quits and enjoy the season! Okay, maybe one or two more little projects! What a stunning kitchen makeover Christy. I love the pops of red. It feels so bright and festive. Thank you for sharing and joining in the tour. 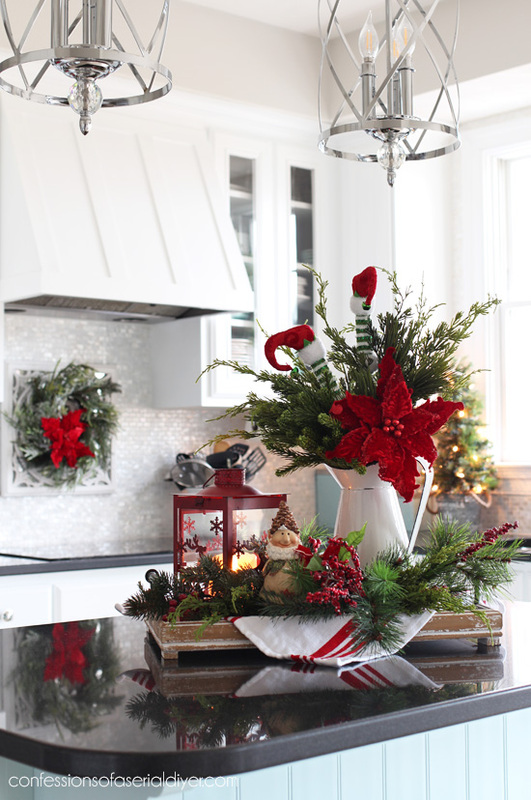 I love all the red in your Christmas decor Christy! I always end up going back to red too, it’s just so Christmas-y to me! I love all your holiday kitchen decor. 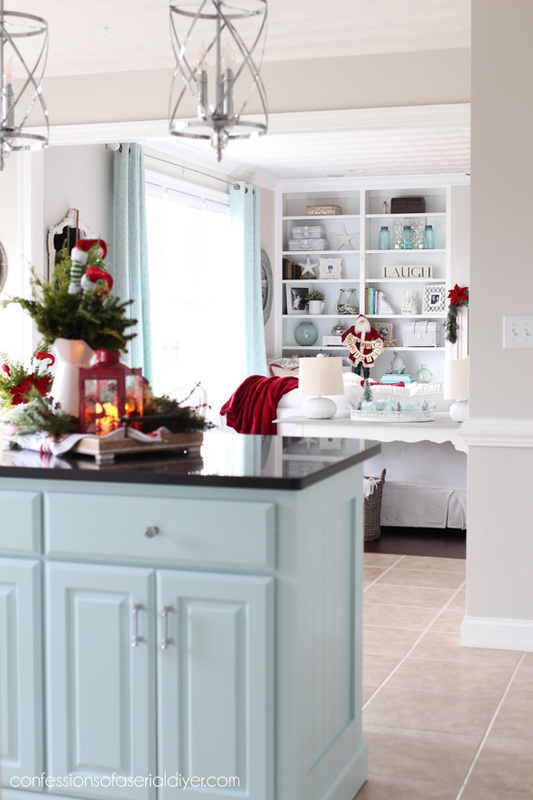 I love the beautiful color combination of aqua and red is it so fresh and fun! 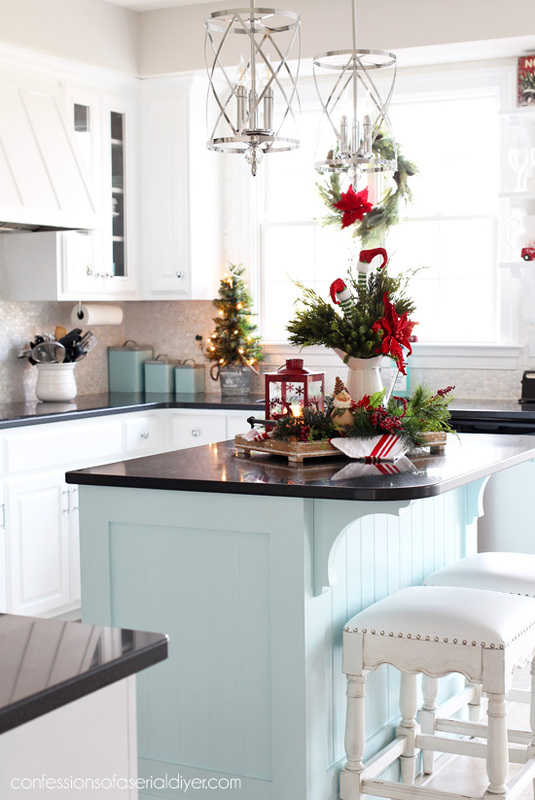 I love your little elf on your kitchen island, he has a ton of personality! Your kitchen is beautiful. 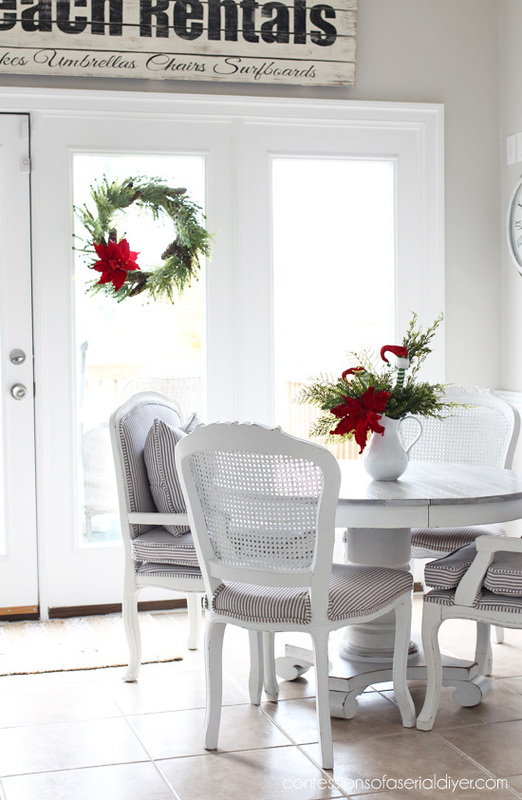 It’s so light, bright and airy and ready for the holidays. I LOVE your backsplash tiles and how bright it is with your updates. I love the pops of red! Really feels like Christmas! I need to get painting the set of skis I got from someone’s trash, much to my husband’s dismay but thanks to your inspiration from last year! You are so talented! The only thing I would add is tiny wreath with a red bow onto one of your Xmas village houses. It would draw your eye to them and tie them into your while scheme. 😍. LOVE all you do and have an entire village of my own you’ve inspired me to paint!! Thanks for the great blog!! What a wonderful sense of style you give most everything you do. Have a Happy Holiday. 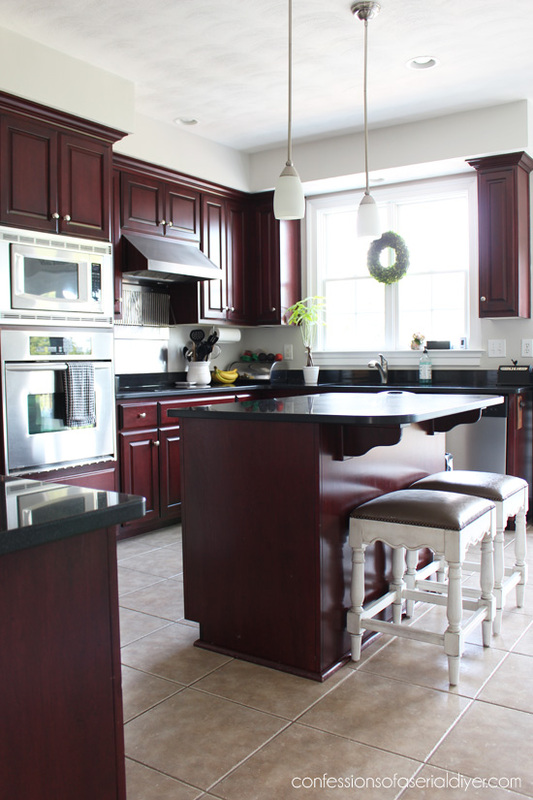 I love the pops of red you used in your kitchen. The poinsettia blooms you used are so pretty! Next year I am going to have to remember to look for those. Gorgeous tour… and very inspiring. I’m going to add a wreath to my little portal window next year! 😉 Pinning!